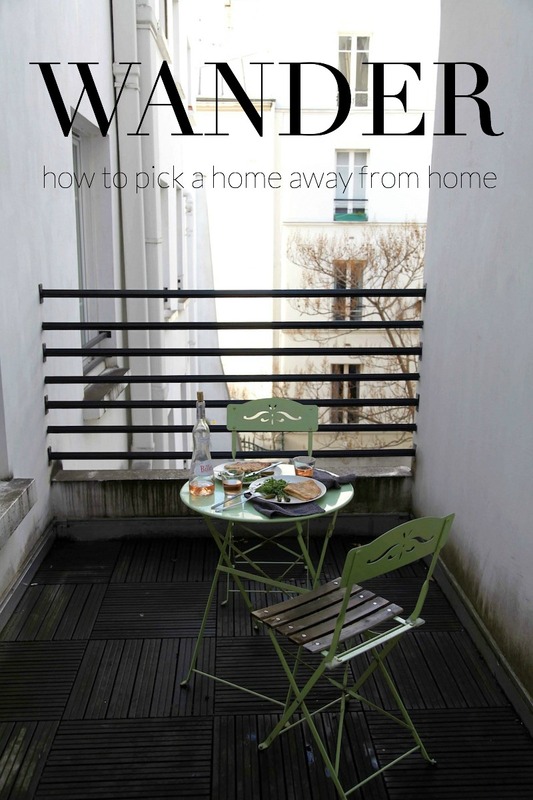 It's no secret that the Mr. and I prefer to stay in a home and "live like locals" when we travel. However, while traveling via home rental seems to be quite popular in Europe, it's still a bit foreign for many people in the US. We constantly get asked questions about how to pick a place, if the hosts are friendly, how we know we will be safe, ways to tell if a space is actually going to be nice and if it's truly more enjoyable or worth it to stay in a home over a hotel. While the answers to many of those questions depend on the person and their personal preferences and experiences, we did want to tackle the most common of all of the questions: how to pick a vacation rental. While the answers are pretty straightforward and basic (and some of you may be even saying"Duh!" when you read them), we wanted to write out our simple formula so that even someone who has never booked a home away from home would have no problem doing so. And if you're like us and frequently stay in apartments or houses when you travel, let us know what your tips to picking a place are. Did we leave anything off of our list? Know the Goal of Your trip || Is the trip for work or personal? Is it just you, you and your significant other, you and a group of friends? Do you want affordable or luxurious? Do you want a spot where you can just drop your stuff and sleep at night, or do you want a space to cook in, work in and hang out in? Answering all these questions will help you determine whether you need a space that is small or large, has a full kitchen or just a microwave and is fancy or not. Plan Your Itinerary || You don't have to have every single minute of your trip planned, but it's good to have a basic idea of things you want to do. From there, look to see if several things, or the majority of things, are in the same general area and then look for places to stay in that area. For example, if you're traveling to Paris, and you know many of the sights you'll want to see or restaurants you'll want to check out are in Montemarte, then look for a place in Montmartre. Research the Area || Google the area, and even particular streets, to see if any news comes up. Also, use the street view feature to get an idea of what the street and buildings look like. Check for lively activity (i.e. lots of restaurants, bars, shops, so that you know the area will be populated). If you have a friend that lives in your destination or has recently traveled there, get their input on the area. Check to see how close a police station and/or your country's consulate is to the location. In other words, research, research, research. Read the Reviews || This should go without saying but when you're picking a place to stay, look for verified images of the home, recent reviews and a host that has a lot of stars. Try to avoid anything with negative feedback no matter the location or how good a place looks. Again, this should go without saying, but I know just how luring a cheap price and a good spot can be. For example, when we were looking for places in Venice, we found what appeared to be a great little place for a great price. The only problem? The landlord sounded like anything but nice. But despite all of his negative reviews, people were still booking the place up, in turn leading to more negative reviews because they, quite literally, ignored the writing on the wall. Pick Your Non-Neogtiables || Once you've done your research and planning, know your non-negotiables before you look through listings. For us, because our work is so intertwined with the site, having something with natural light and/or photogenic qualities is always a priority. So is wifi, a kitchen, an actual bed and provided towels and sheets (so we don't have to waste precious packing space bringing our own). There are thousands of home listings, so having non-negotaibles will help make it infinitely easier to narrow your choices down. After that, all's that is left to do is to book your home away from home!